My first experience with a laser range finder was not good. The unit I had was bulky, heavy and hard to lock on a target. It also gobbled nine volt batteries like potato chips. After a season of use, I sold it and bought a golf gps unit. Recently, however, GolfBuddy sent me one of their LR5S rangefinders for testing. It is everything that my first golf GPS unit was not: easy to use, easy to carry and helpful to my game. From the first, I was impressed by the GolfBuddy’s size (or rather, the lack thereof). As you can see from the photo, it fits nicely into the palm of the hand. It’s also light enough that you could slip it into a pocket without feeling weighted down. The device comes in at just under 8 ounces. The GolfBuddy LR5S quickly locks onto individual targets and a less-than-rock-steady hand doesn’t seem to cause the numbers to jump around. As an experiment, I was actually able to lock on a flag while walking forward. Once again, I found this to be a change from the previous unit I owned. That unit had distance measurements that jumped even when focused on the side of a building. 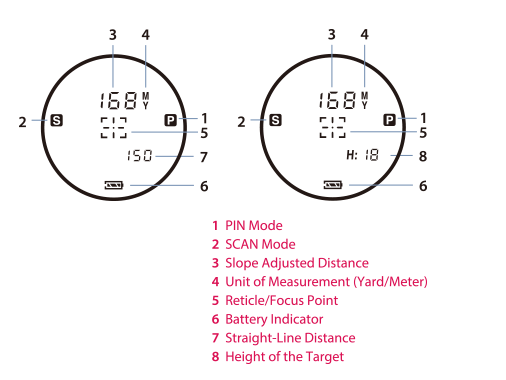 In addition to spot checking distances, the GolfBuddy LR5S also has a useful “scan mode.” In this mode, sweeping the viewfinder crosshairs across the landscape generates a series of distances. The most interesting feature of this rangefinder, however, is that it takes elevation into account. The “S”in the LR5S stands for “Slope.” As you can see in the diagram below, the GolfBuddy LR5S shows the slope adjusted distance at the top of the screen, and the straight line distance and height of the target in the lower right. While the Slope function may not be particularly useful on your home course, where the average golfer knows how many clubs each elevation change represents, I found it useful when playing a couple of unfamiliar tracks. In particular, I remember an approach shot that had me on the cusp between one and two clubs up. The Slope function made the decision for me, and it turned out to be the right one. I’ve used the GolfBuddy for many weeks now and the battery shows no sign of giving up. Again, in comparison with my older unit, that’s a big change. In all, I’m really impressed with the GolfBuddy LR5S — especially since I was disinclined toward golf laser rangefinders from the outset. 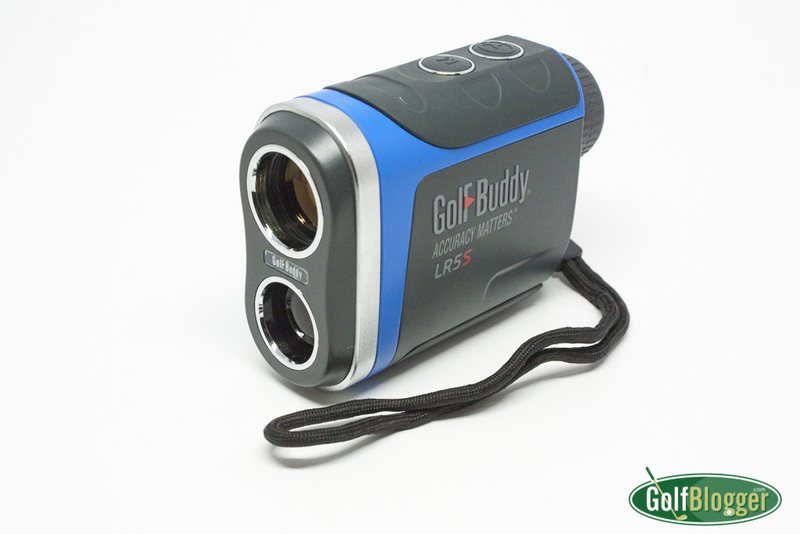 The GolfBuddy LR5S would make a great holiday gift for the golfer in your life. 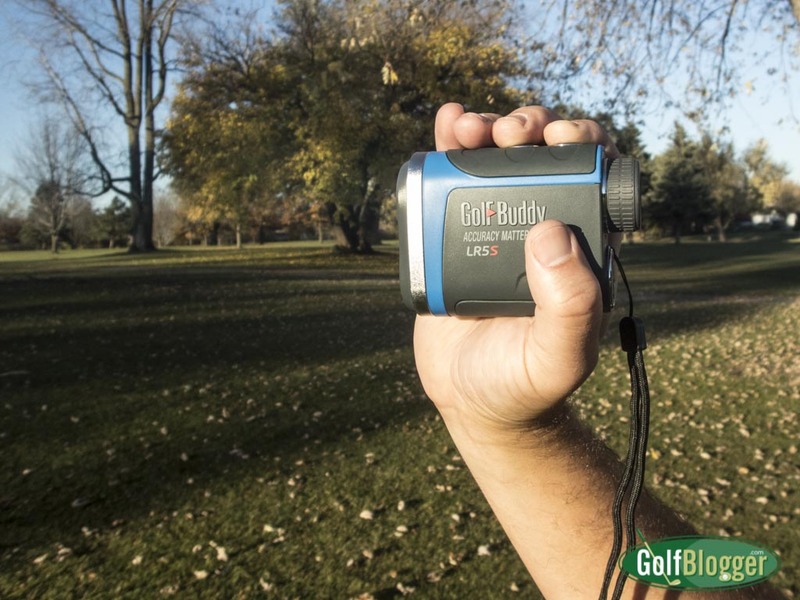 The GolfBuddy LR5S Rangefinder Review was first published November 5, 2015.